With increased violence and no end in sight, up to 5,000 more arrive every day, 80% of whom are women and children. Many newly-arriving Syrian refugees are entirely dependent on humanitarian aid, some coming with only the clothes on their backs. 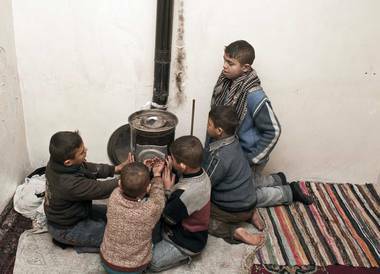 Thousands of children have already suffered through months of terrifying conflict and displacement, and are now at serious risk of succumbing to the cold. The image (courtesy of facebook) shows a young boy, covered in a carpet, sleeping on the cold snow in an uncomfortable position. Children are particularly vulnerable to disease associated with the cold, and are in urgent need of protection. cold temperatures combined with freezing rains and strong winds are posing huge challenges for refugees who are already living in extremely difficult conditions. Some families are staying in unfinished buildings or abandoned schools, where classrooms have been converted into one-room shelters now housing entire families, and some are now living in former barns – sheep sheds and chicken coops – in their desperate bid to find protection from the elements. We at LILY- Love In the Language of Yarn are working hard to provide blankets and warm hats, socks, gloves etc., for the children, especially the youngest, who are most at risk of succumbing to the cold – but there isn’t enough! Please consider making a square or two with your odds and ends. 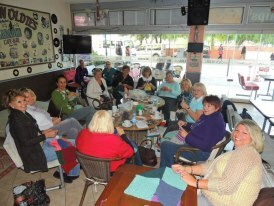 Any spare wool you have can be knitted into eight inch squares and then we'll stitch them all together into a blanket. It is a lot of fun and immensely satisfying knitting or crocheting squares to make blankets. It's a good way to use up scraps of wool and different effects can be achieved with colours and by using different stitches. 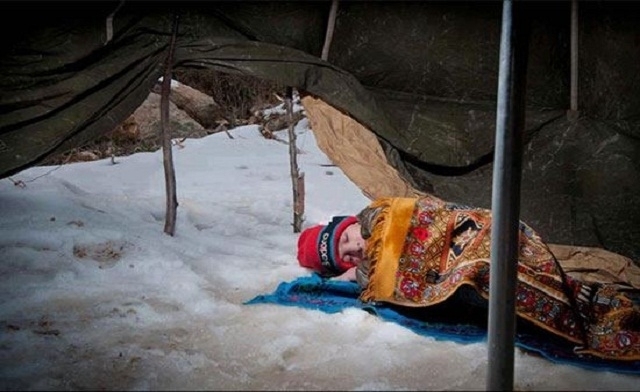 A handmade blanket will bring comfort and warmth to Syrian people especially children who continue to suffer. A lovingly made blanket will send a message of concern and hope to these refugees. Your participation is important.! Let's try and send them a little comfort and the knowledge that someone is thinking of them.